The internet is a great tool that can help you find exceptional caregivers in your area in a matter of minutes. In here, you will be able to check out their websites, look at their services, and most importantly read client reviews. These reviews will allow you to quickly determine if the caregiver is actually good or not. So take your time and do your research before committing to any in-home health care in California. When you find a likely candidate, it is important to get to know them. This is for a number of reasons. 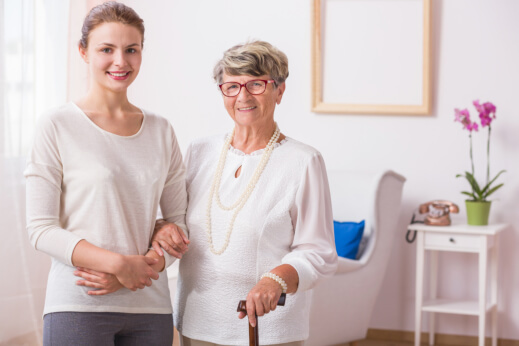 You are going to be leaving the care of your loved one in their hands, so it is important to know that you can trust the person taking care of them. However, this is also important because you need to know their personality. Not everyone can get along. You will want to make sure that the caregiver you choose is able to get along nicely with your loved one. This can improve the quality of care and the quality of life for your elderly family member. Another important thing to consider when looking for exceptional in-home care services is their experience. You will want to hire someone who has plenty of experience. This not only says they know what they are doing, but if they have been in this field for many years, then that means their clients trust them and their caregiving abilities. Those are just a few of the many things to keep in mind when you are looking for the best caregiver for your loved one. If you would like to find out more, please do not hesitate to get in touch with us at Infinite Care Solutions, Inc. anytime. This entry was posted in Health Care Services and tagged Best Caregiver, Caregiving, Healthcare. Bookmark the permalink.